We offer, in Napa California, a full-service professional Acupuncture clinic which also includes Chinese and Western Herbal therapy. We have been in Napa since 1989 and continue to practice with the philosophy of maintaining the highest level of professional care practiced with compassion and dedication to the welfare of our patients and community. Robert Wright, Ph.D., L.Ac., is a Licensed Acupuncturist and inspired practitioner of Traditional Chinese Medicine. He has been involved in Chinese Medicine for over twenty years and been practicing in Napa since 1989. He specializes in acupuncture and Chinese herbal medicine with particular emphasis on musculo-skeletal pain disorders, soft-tissue injuries and neurological disorders, immune diseases like chronic fatigue and myofascitis syndromes and allergies. In addition to acupuncture – including body acupuncture and scalp, ear, hand and foot microacupuncture – Dr. Wright employs traditional Chinese herbalism to help achieve well being. He also uses Traditional Chinese Medical physical modalities including Tuina acupressure, and rehabilitative exercise therapy. He employs modern techniques including electro-acupuncture and microcurrent therapy. 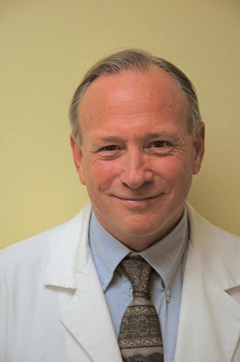 Dr. Wright is an executive board member of the National Board Of Acupuncture Orthopedics and The National Board of Traditional Chinese Orthotraumatology, and the World Federation of Orthotraumatology. These are specialty boards in Chinese medicine requiring extensive training beyond the entry level graduate of acupuncture training. His special training included a six year internship as chief assistant to Doctor Tom S. Wen, M.D., and internationally recognized expert in Chinese Medicine (and the National Science Council Of China) in Orthotraumatology. He has served is a SME (subject matter expert) for the state board licensing exam and for Worker's Compensation, and was a special representative to the Industrial Medical Council for the acupuncture profession. He also did a post graduate study with Guenther Risse (UCSF) in medical history. He is a former professor at the American College of Traditional Chinese Medicine in San Francisco teaching medical history and acupuncture orthopedics. He continues to write about medical history and acupuncture orthopedics and continues to teach, write and lecture on various topics in medical history, health economics and music.